She disappeared again, leaving the five diners to their food. If you’ve read any of the Extraordinary Days books yet, you know that these women love to eat! In Monday’s Child: Fair of Face they gorge themselves silly on chocolate lasagna at Sarah’s “welcome home” event. Craving a little chocolate of your own? 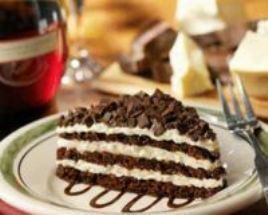 We’ve scouted down the original Olive Garden chocolate lasagna recipe, for the foodies out there who love to bake. And for those of us with less time to satisfy our chocolate fix, here’s a easy no-bake chocolate lasagna version that ought to do in a pinch!